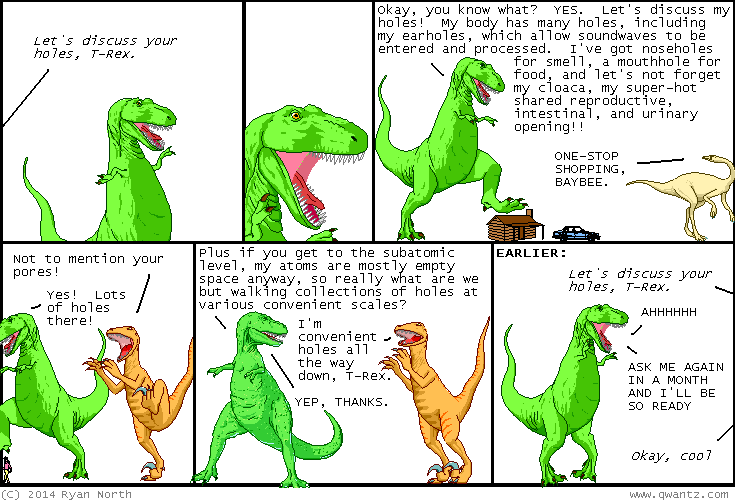 Dinosaur Comics - February 11th, 2014 - awesome fun times! February 11th, 2014: Guys check out this book that David Malki did. I for one am appalled. One year ago today: go ahead, reality. DO ME ONE BETTER.